Pablo’s IQ skyrockets whenever food is involved. 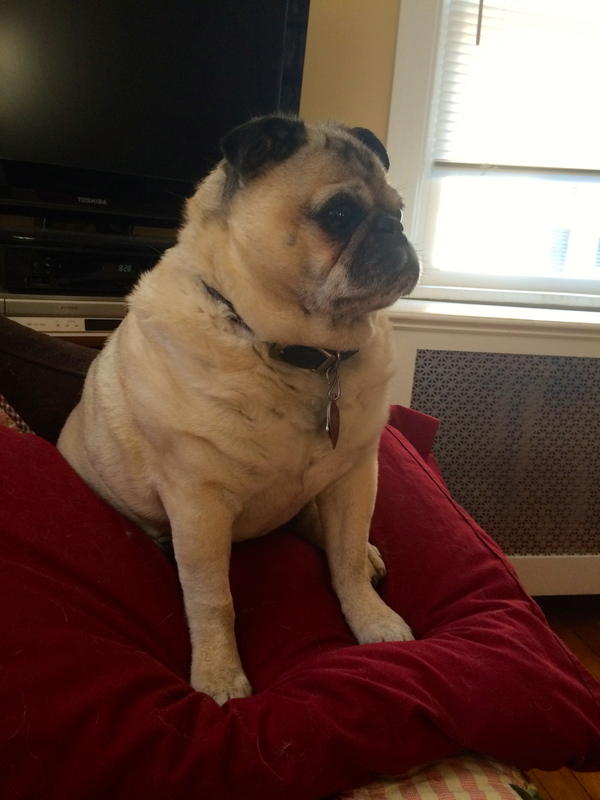 Seconds before this photo was taken he was snoring away on the sofa atop his favorite pillow. Then K went into the kitchen to make himself breakfast. Pronto, Pablo is on full alert. 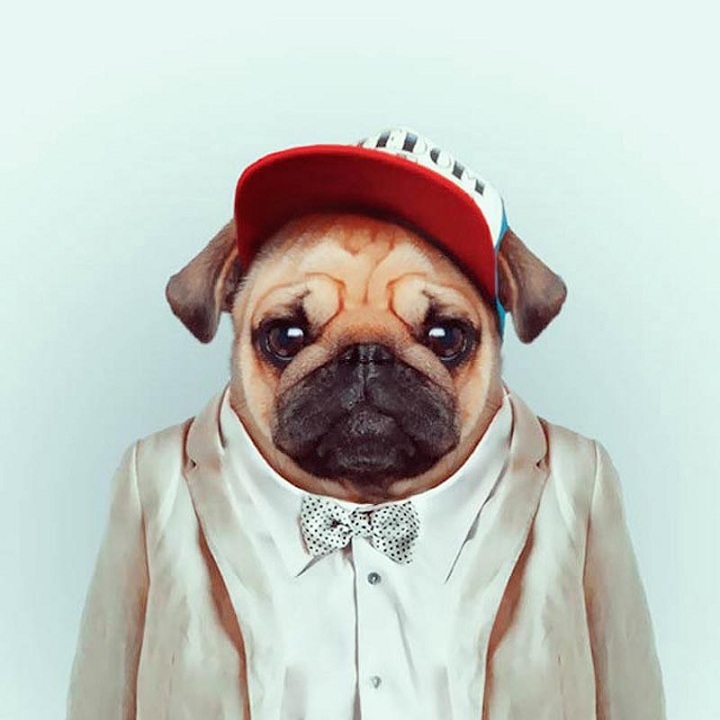 Saw this dressed-to-kill pug on LifeBuzz. The featured artist Yago Partal photoshopped a whole slew of animals in duds that capture their personalities in his Zoo Portraits series.